Since 2010, over 6000 dogs (and their families!) have taken classes with us. We are proud to offer the highest quality instruction and classroom experience for Toronto dog owners that want the very best for their pups. 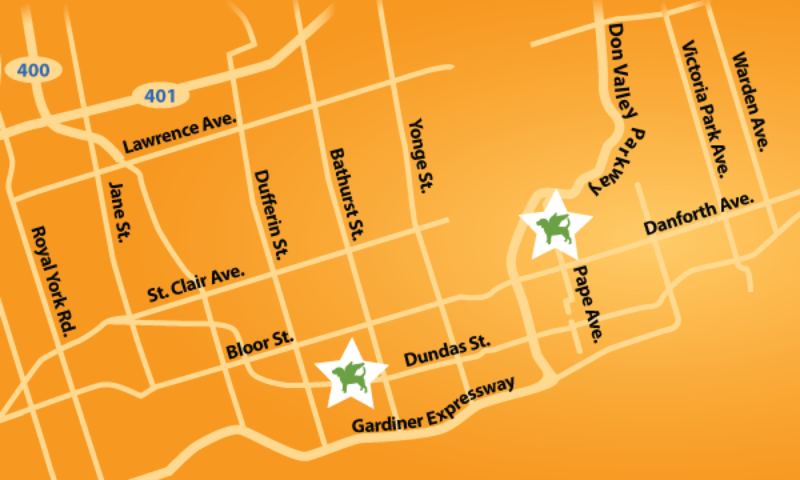 With two convenient locations (Dundas West and Pape Village) we are easily accessible both East and West. Learn more about our training methodology (clicker training) and why you should choose us for your dog’s education and training.